This is a guest post from Elisabeth Galperin, owner of Turn Leaf Organizing, who has helped Gild Collective get organized, and plan for productivity in the new year. 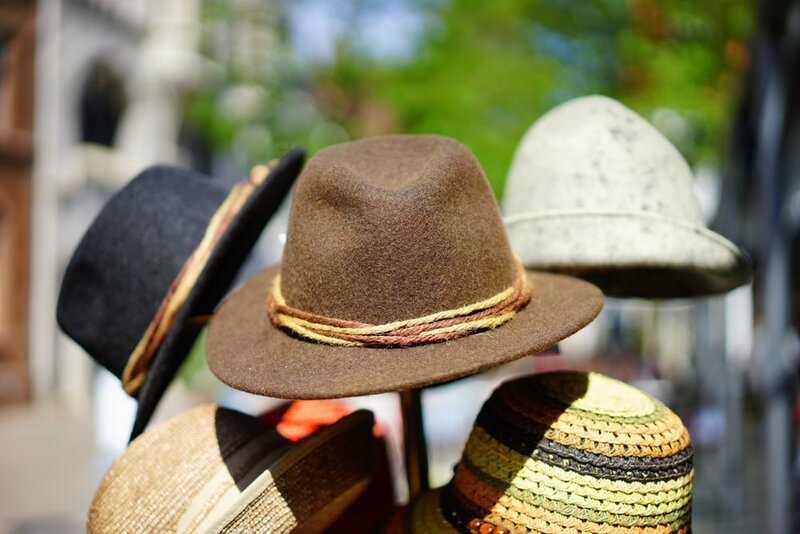 Have you stopped recently to take count of the many different hats you are wearing? Professional, Boss/Employee, Mother, Wife/Partner, Daughter, Household Manager, Neighbor, Taxi Driver, etc. It can be exhausting just thinking about this list! As women in the workplace, we know that we never truly clock-out for the day; we simply remove one hat and replace it with another. Working in the field of productivity and organization, I encounter and counsel women every week who are overwhelmed, stretched thin, and desperately seeking the elusive “work-life balance.” In all my conversations with friends, colleagues, mentors and professional women over the past 10 years, I have yet to find anyone who feels they have achieved the perfect balance. Many women no longer work traditional hours in traditional office settings. Therefore, setting the expectation to fully take off your professional hat at the end of the day, and put on your personal hat, and to spend equal time in both areas, is not realistic. In fact, I no longer talk about work-life balance; instead, I encourage women to seek work-life integration. I own my own business, and work from a home office. I have the ability to take a break in the middle of the day to volunteer at my child’s school, fit in a workout, or run an errand between client appointments. Because I am switching hats throughout the day, I often then switch hats in the evening, in between dinner, soccer practice, baths and bedtime. Rather than looking for balance and feeling guilty when I spent more time on work than family, or vise versa, I seek integration. At the end of the day, I ask myself, “Did I accomplish my biggest priority at work? Did I spend enough quality time engaged with my 2 young boys and husband? Did I do one thing for myself today for self-care?” If I can answer yes, I have achieved my personally defined balance. Women can create guilt in the blink of an eye; I speak from experience. But we often experience that guilt based upon antiquated and/or self-imposed expectations. Who says we cannot work from home after the kids go to bed? Does making a personal call during the work day really impede productivity? Is equal always the same as what is best? As 2018 begins, consider setting aside a little time to create a clear picture of what work-life integration means, uniquely to you. Give yourself permission to step beyond the “shoulds” you’ve heard for so many years; to no longer compare yourself to the other professional women in your circle; to define how you can integrate the many hats you wear. Leave a little room on your plate (or platter). Do not take on so many roles & responsibilities the you have no wiggle room. Remember, life involves surprises and unexpected events. You will want to leave a little room for those. For every YES, there must be some NOs. Each time we take on a new role or enter a new opportunity, we must evaluate all other commitments and consider what to let go. We only have so many hours to rotate those hats! We hear it all the time; in an emergency, we must first secure our own oxygen mask before we can provide help to others, right? Keep in mind that even in day-to-day life, we must find a way to provide for ourselves, if we are going to be able to fully provide for others. For each hat you wear, be sure you have established boundaries and reasonable expectations. Communicate with others what you can, and cannot do, within the role you fill. Overlooking this step can lead to significant problems down the line. Here’s to a well-integrated year ahead for all of us women of the workplace. Elisabeth W. Galperin is the founder and owner of Turn Leaf Organizing LLC. Elisabeth assists business leaders and professionals to better manage space, time, and information. She works collaboratively with clients to improve business systems, implement effective processes, and increase profits. As a mother, wife, and solopreneur, Elisabeth relates to her professional clients who strive to make the most of each day and each opportunity. Her mission is to help eliminate the overwhelm in clients’ lives so they can achieve productivity, profitability, and peace of mind. A well-respected expert & speaker for over 10 years, Elisabeth is a Golden Circle Member of the National Association of Professional Organizers (NAPO); a Certified Productive Environment Specialist (CPES) with the Productive Environment Institute; and holds a certification as an Evernote Certified Consultant. Elisabeth provides clients with unique, strategic & proven solutions aimed to increase productivity, improve business systems, and help clients accomplish their work and enjoy their life™.